If you know anything about Apache Flink, you are probably familiar with how to send data to it and how to get results back. But in some cases, we need to send configuration data to the Flink cluster and receive some additional data from it. In the first part of the article, I’ll describe how to send configuration data to our Flink cluster. There are many things that we want to configure: function parameters, configuration files, machine learning models. Flink provides several different ways to do this, and we will cover how to use them and when to use each one. In the second part of the article, I will describe a non-trivial way of sending data back from a Flink cluster. This article requires some basic knowledge of Apache Flink. If you are not familiar with it, you can read some of my other articles on the topic: here, here, and here. 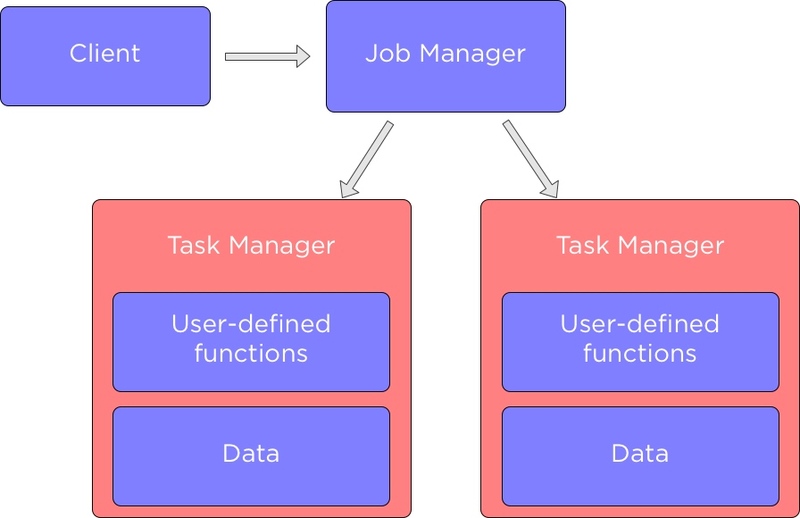 When we need to execute a Flink application, we interact with a job manager that stores details about the job it is running, such as an execution graph. It controls task managers and each task manager contains a portion of the data and execute data processing functions that we’ve defined. In many cases, we would like to configure the behavior of our functions that run in the Flink cluster. Depending on a use-case we may need to set a single variable or submit a file with a static configuration, and we will discuss how Flink supports these and other cases. In addition to sending configuration data to task managers, sometimes we may want to return data from our functions in addition to regular outputs. Flink will serialize this variable and send it with the function to the cluster. All these methods can get annoying if you need to pass a lot of variables to your function. To help with that Apache Flink provides the withParameters method. To use it you need to implement a Rich version of a function you are interested in, so instead of implementing the MapFunction interface, you will have to implement the RichMapFunction. All these options will work, but it can be tedious if you need to set the same parameter for multiple functions. 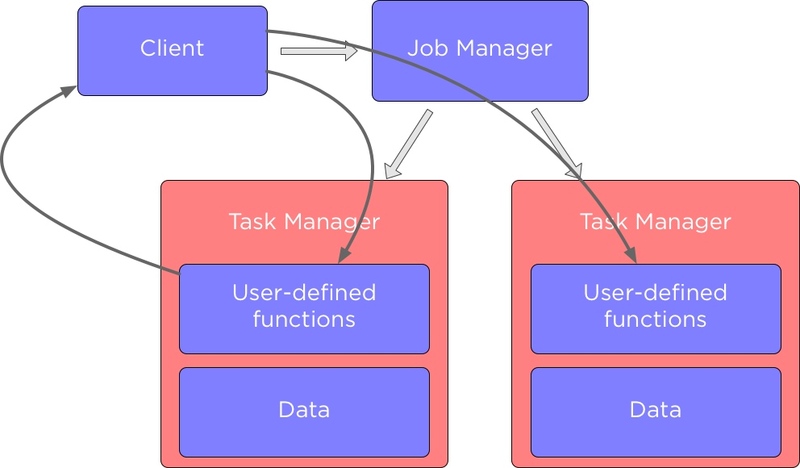 To handle this Flink allows setting global environments variable that will be accessible by all task managers. To read a parameter we need to call the getGlobalJobParameter to get all global parameters and then use the get method to get the parameter we are interested in. All these methods that we’ve discussed before will suit you if you want to send data from a client to task managers, but what if data exists in task managers in the form of a dataset? In this case, it’s better to use another Flink feature called broadcast variables. It simply allows sending a dataset to task managers that will execute your functions. Let’s say we have a dataset that contains words that we should ignore when we do text processing, and we want to set it our function. To set a broadcast variable for a single function, we need to use the withBroadcastSet method and a dataset to it. You should keep in mind that if you use broadcast variables, a dataset will be stored in a task manager’s memory, so you should only use it for small datasets. Notice that to access a file in the distributed cache we need to use the same key that we used to register it. We’ve covered how we can send data to task managers but now let’s talk about how we can send data from task managers back. You may wonder why do we need to do anything special. After all, Apache Flink is all about building data processing pipelines that read input data, process it, and return a result back. The problem is that if we run this application as it is will run two Flink jobs! First to get the word count and second to count a number of lines. This allows us to count how many times each word occurs in the input text and how many lines does it have. If you need a custom accumulator, you can also implement your own accumulators using Accumulator or SimpleAccumulator interfaces. I hope you liked this article and found it useful. You can find the source code for this article in my git repository with other Apache Flink examples.